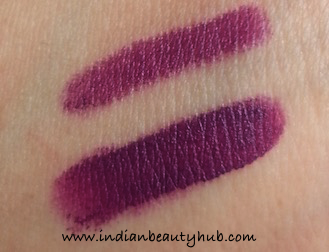 Hey everyone, today I’m reviewing the Revlon Colorburst Matte Balm in the shade Shameless which is a drugstore dupe for MAC Heroine lipstick. Packaging : Revlon Colorburst Matte Balm Shameless comes in a color coded chubby stick form with a cap and a silver twist up mechanism. The shade name and number are labelled at the bottom of the chubby stick. All in all the packaging is sturdy, convenient to use and travel friendly. 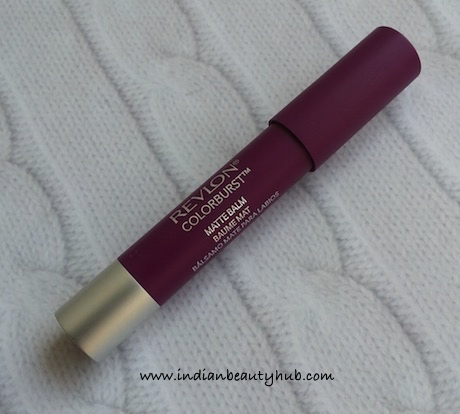 Texture & Fragrance : Revlon Colorburst Matte Balm Shameless has a velvety creamy texture that glides smoothly on the lips without tugging. It has a fresh minty fragrance which vanishes after a few minutes of application. 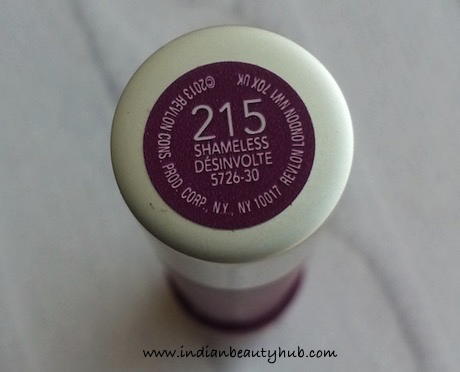 Shade & Pigmentation : Shameless is a gorgeous deep purple color without any shimmer. It is highly pigmented and goes completely opaque with just a single stroke. The color is build-able and gives an intense color pay-off with 2-3 coats. 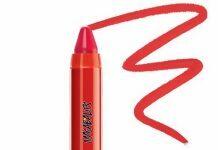 It is a very bold shade but you can toned down its color by just using it as a lip stain. 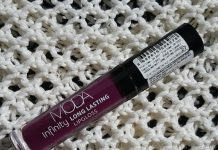 Efficacy : It glides effortlessly and imparts an even color on the lips without making lips patchy. It gives tingling sensation when applied on the lips and sets into creamy matte finish. It doesn’t feel drying on the lips unlike many other matte lipsticks. It stays on the lips for 3-4 hours with light snack & drinks. After that it fades evenly and you need to reapply it. 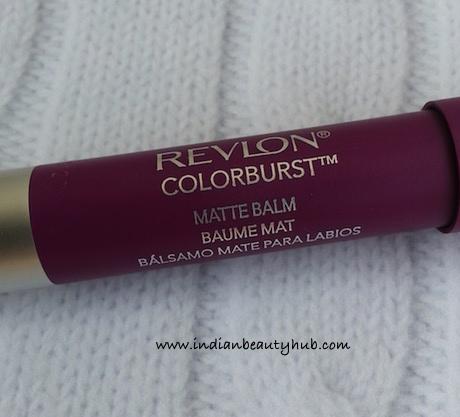 Price & Availability : The price of the Revlon Colorburst Matte Balm Shameless is Rs.800 for 2.7g. 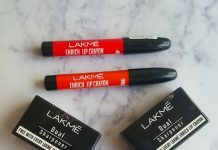 It is easily available at Revlon counters or you can buy it online from Nykaa.com, Purplle.com, etc. Color coded stick crayon with twist up mechanism. Formulated with Shea, mango and coconut extracts. Pretty warm tone purple color. 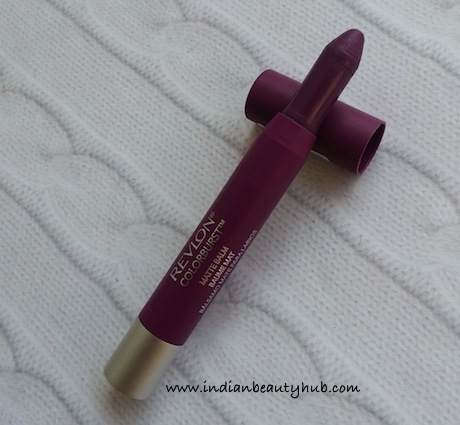 Gives creamy matte finish to the lips. Has the tendency to accentuate dry lip areas, so make sure to exfoliate the lips properly before applying it. Very bold shade that might not be everyone’s choice. Quite expensive for the quantity offered. You need to reapply it after 3-4 hours. 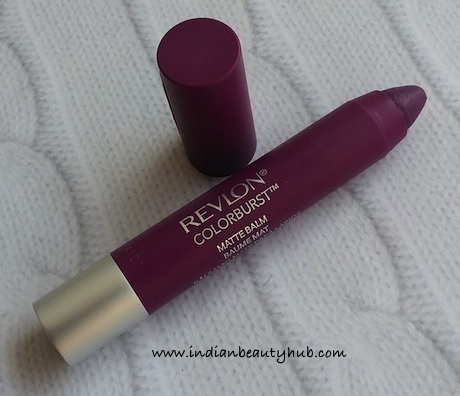 Overall I liked Revlon Colorburst Matte Balm in shade Shameless 215. 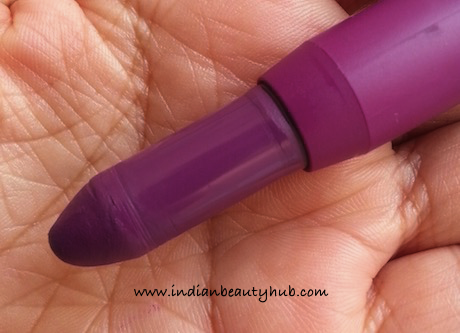 It is a beautiful purple color that will look good on all skin complexions. It has a one swipe opacity and sets into satiny matte finish on the lips. Recommended! This has been in my wishlist since forever :D Lovely review..